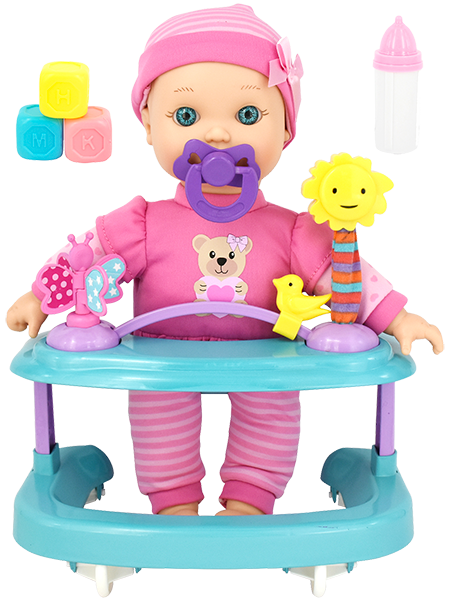 Give this doll a little hug and she will kick her legs & giggles with glee! 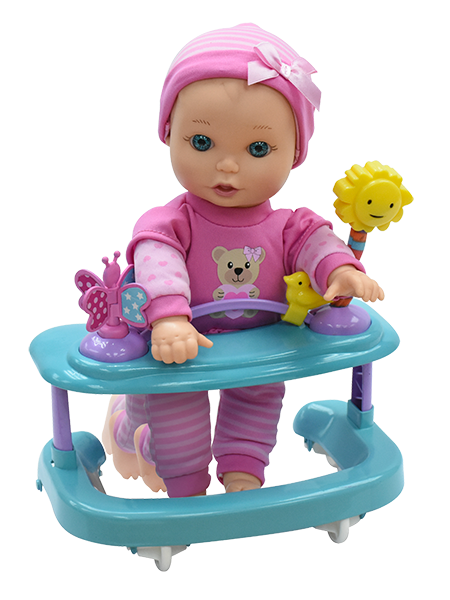 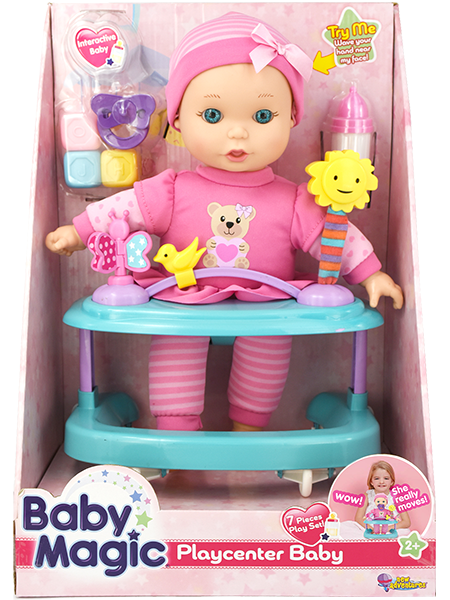 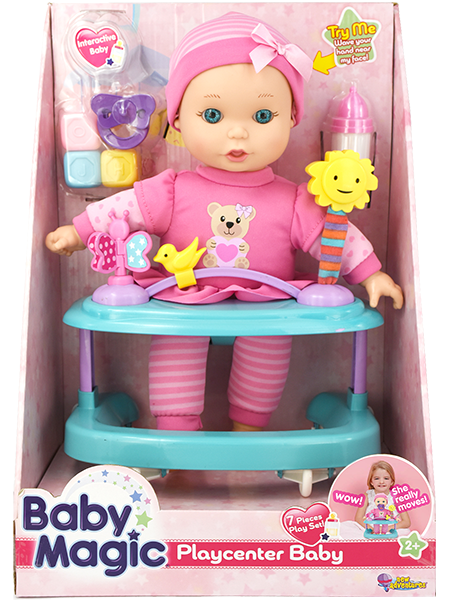 This baby doll is having so much fun playing in her playcenter. 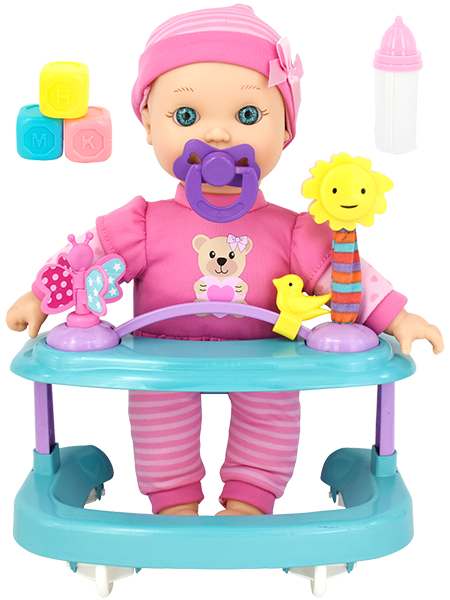 Comes with pacifier, bottle, blocks and toys attached to her playcenter.